By the early 20th century, the farmhouse was in disrepair and the rural character of the surrounding neighborhood was quickly changing. 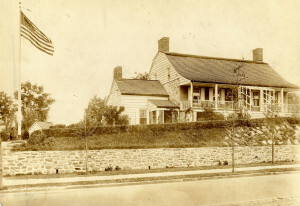 The extension of the IRT subway line to northern Manhattan led to rapid development in the neighborhood and in 1915 the house was threatened with demolition. Many newspaper articles of the early 20th century commented on the rapid change in the neighborhood and the many losses of farms and old houses. 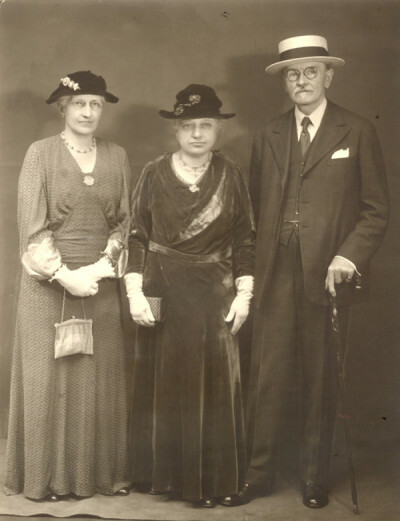 In response to the possible danger of losing the farmhouse, Mary Alice Dyckman Dean and Fannie Fredericka Dyckman Welch, daughters of Isaac Michael Dyckman (aka James Frederick Smith), the last Dyckman child to grow up in the house, bought the propertyin 1915 to ensure its preservation. With their husbands, curator Bashford Dean and architect Alexander McMillian Welch, they undertook a major restoration and furnishing project to bring the house back to what they believed was the earliest appearance. 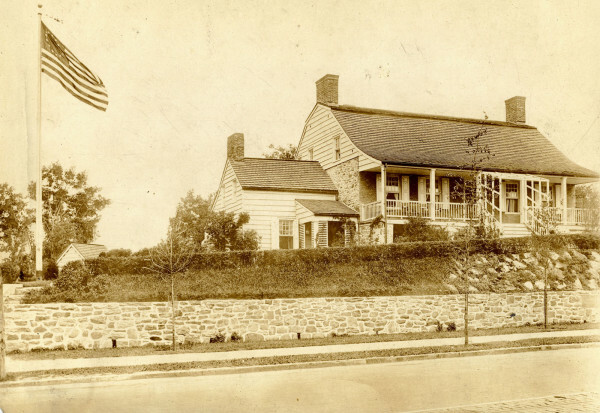 Dean and Welch produced a small booklet – The Dyckman House Park and Museum – which documented their work. On the exterior and interior, features felt to be the oldest portions of the house were retained as much as possible, but later additions, such as an 1830’s northern wing, were demolished. They worked to gather objects from friends and family in order to furnish the house. Their work was no doubt greatly influenced by the Colonial Revival movement prevalent at the time – which resulted in a very romantic notion of colonial life. Their room installations perhaps didn’t truly reflect the hardship of life on a farm in the late 18th and early 19th century, but did reflect their ideals of family history. Restoration work began in the fall of 1915 and by July of 1916 the farmhouse was open to visitors. Mary Alice Dyckman Dean, Fannie Fredericka Dyckman Welch and Alexander Welch, c. 1930s. Visitors today can see the work of the founders in the 2nd floor bedroom, which we are working to restore to its 1916 condition. It provides an excellent contrast to the 1st floor bedroom which is interpreted to the Farm period.